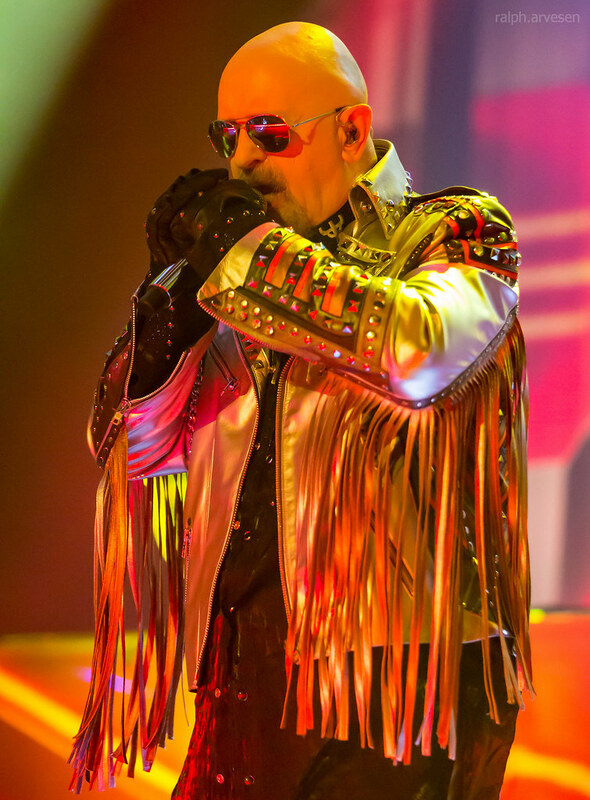 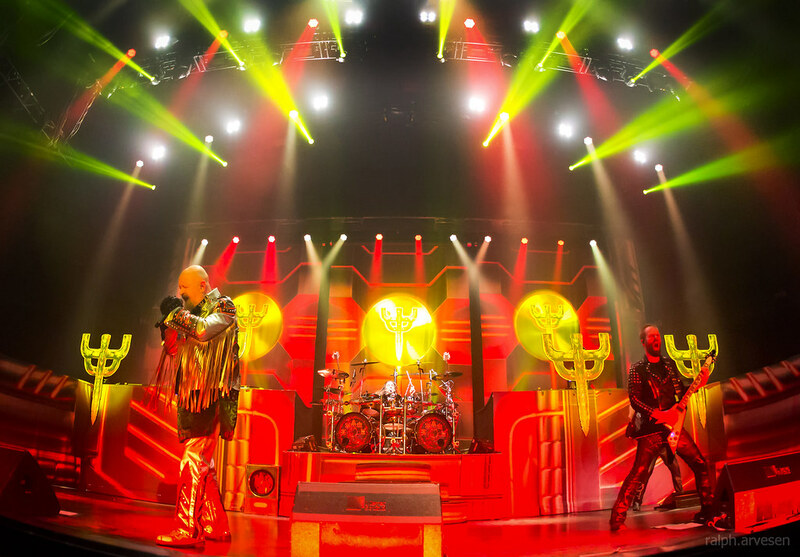 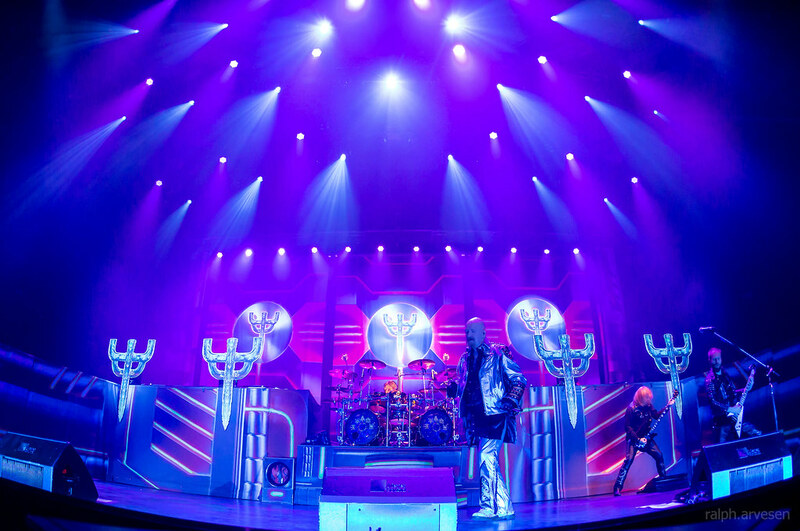 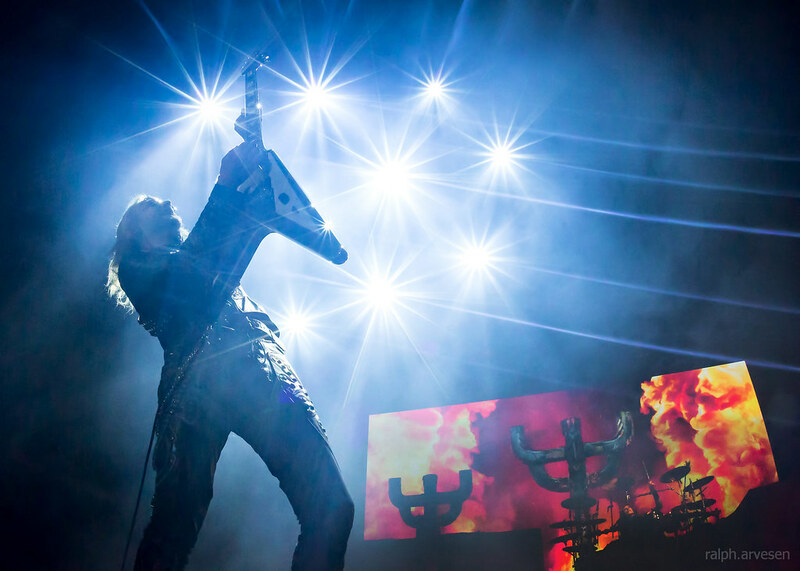 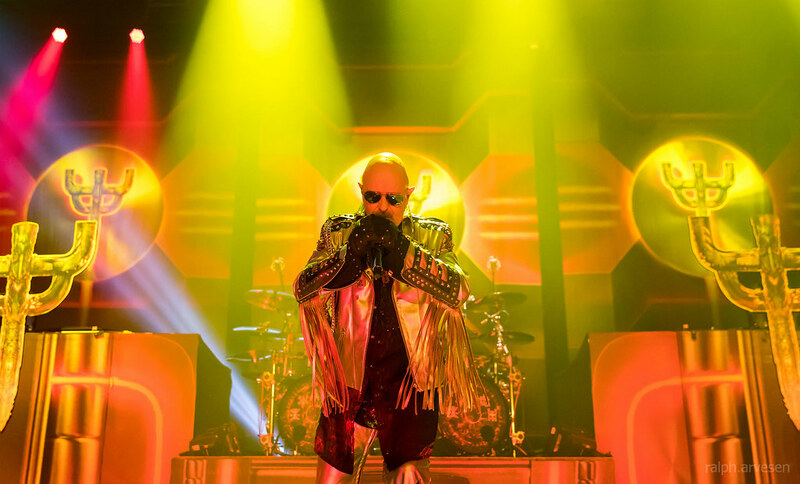 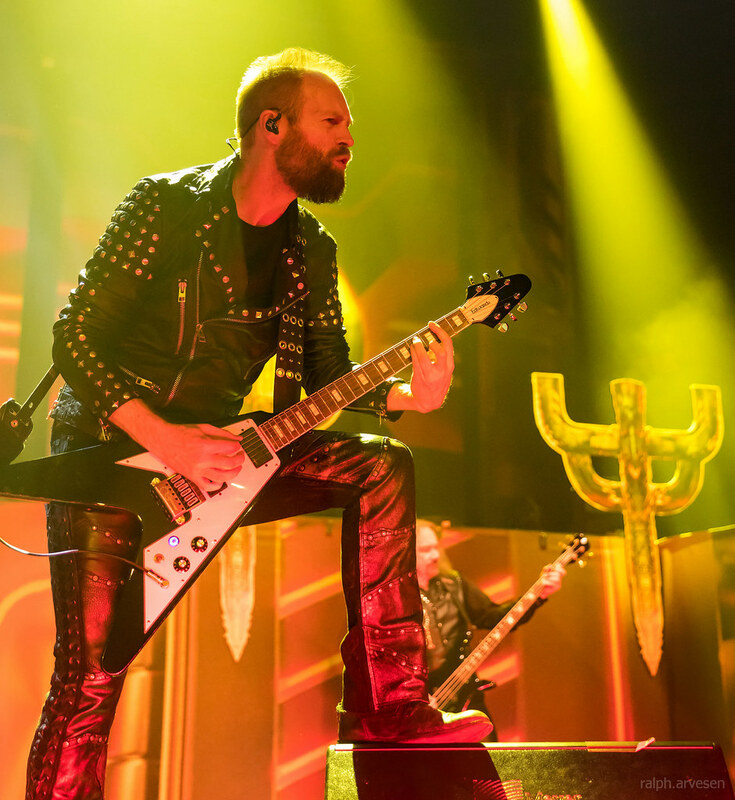 Judas Priest performing at the Freeman Coliseum in San Antonio, Texas on May 1, 2018, with Rob Halford, Glenn Tipton, Richie Faulkner, Ian Hill, and Scott Travis. 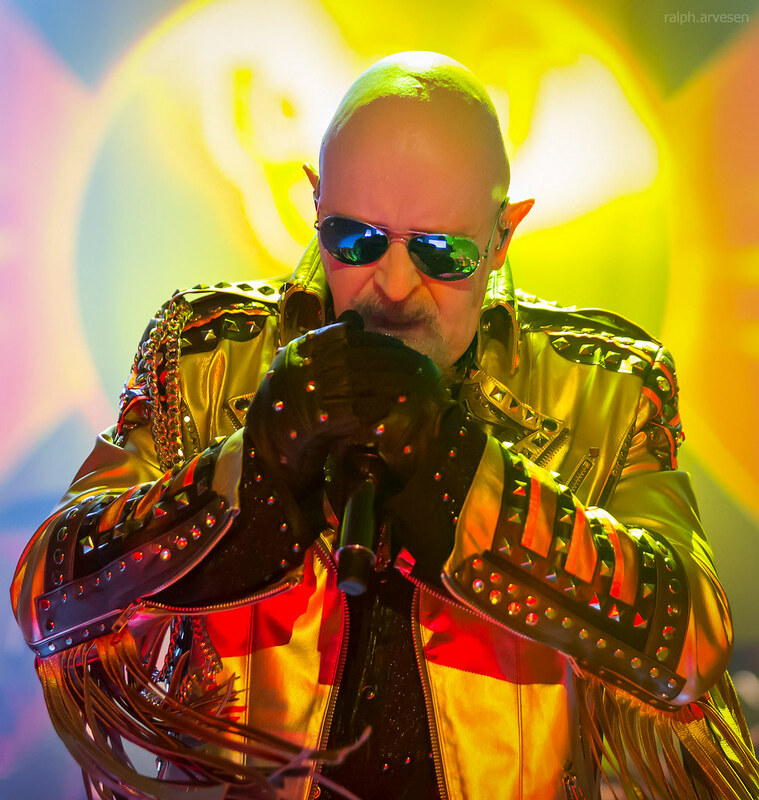 The band was formed in Birmingham, England in 1969 by guitarist John Perry (who died shortly after and was replaced by Earnest Chataway), bassist Bruno Stapenhill, drummer John Partridge, and singer Alan Atkins, who created a band name from Bob Dylan's song 'The Ballad Of Frankie Lee And Judas Priest'. 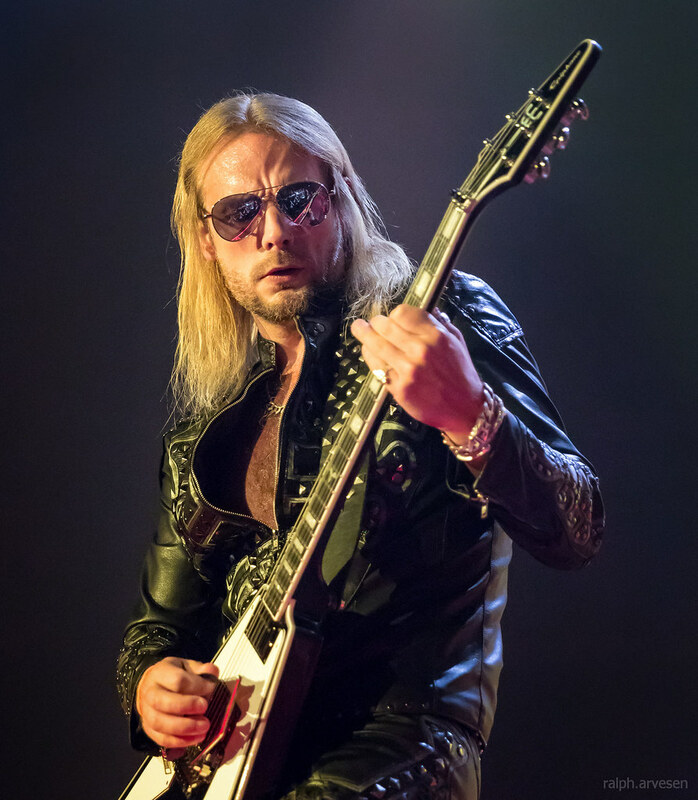 In 1970, guitarist Kenneth K. K. Downing and bassist Ian Hill (2) joined, replacing Chataway and Stapenhill. 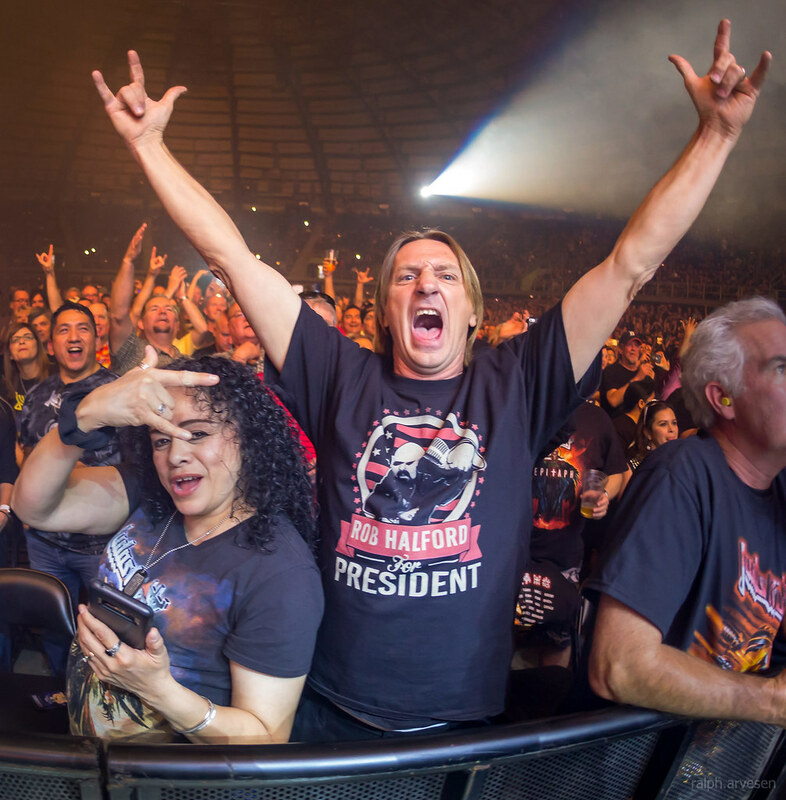 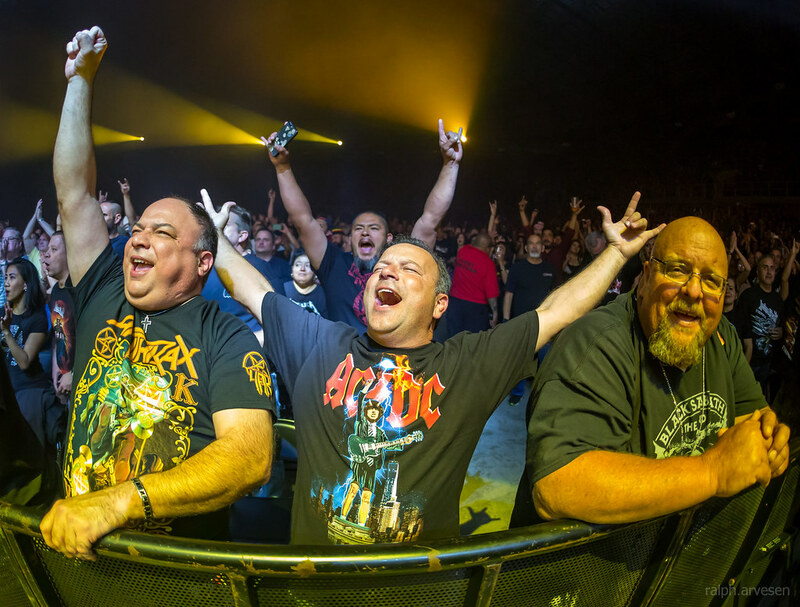 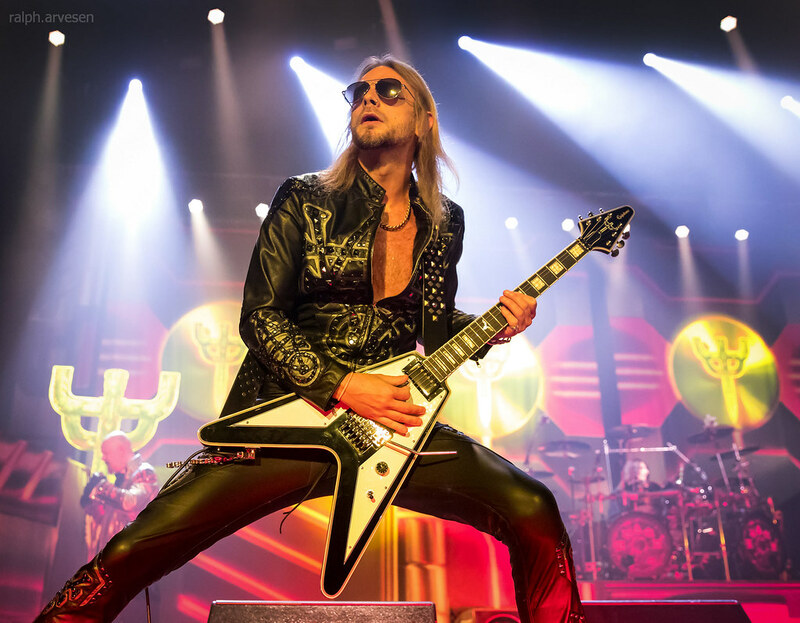 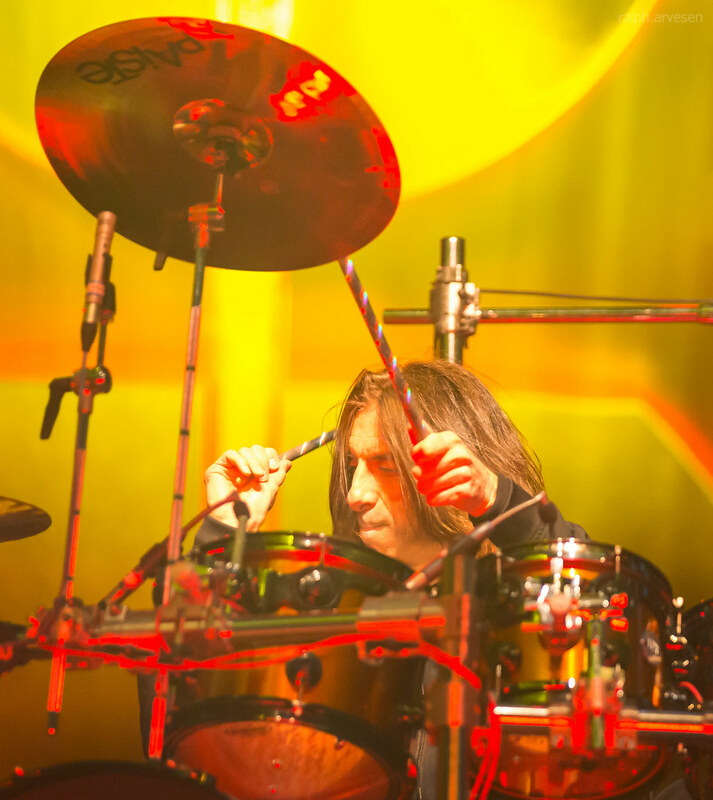 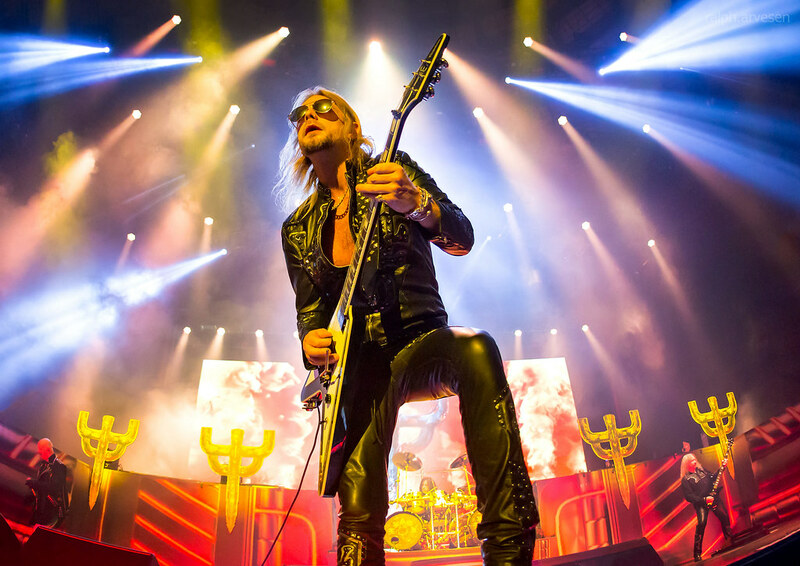 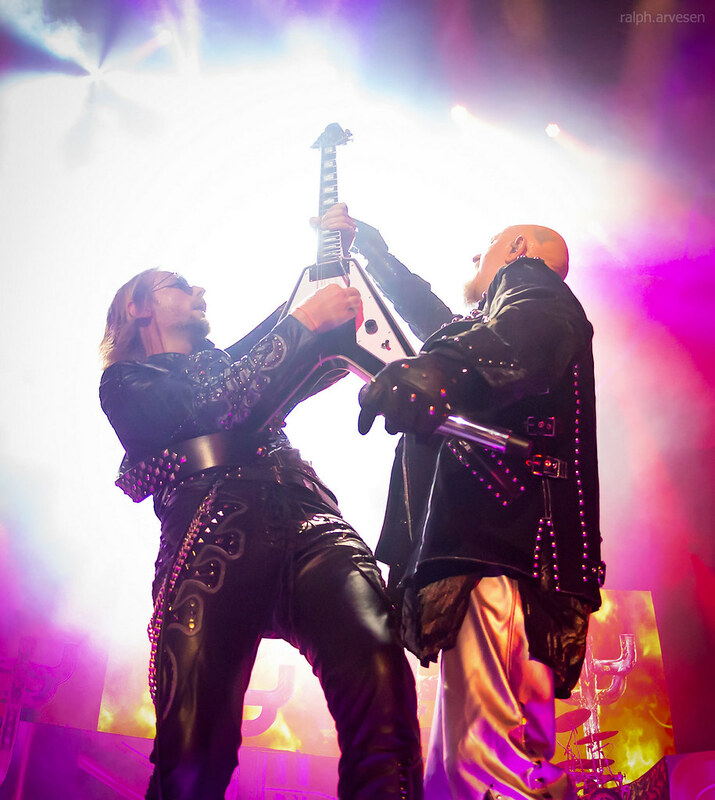 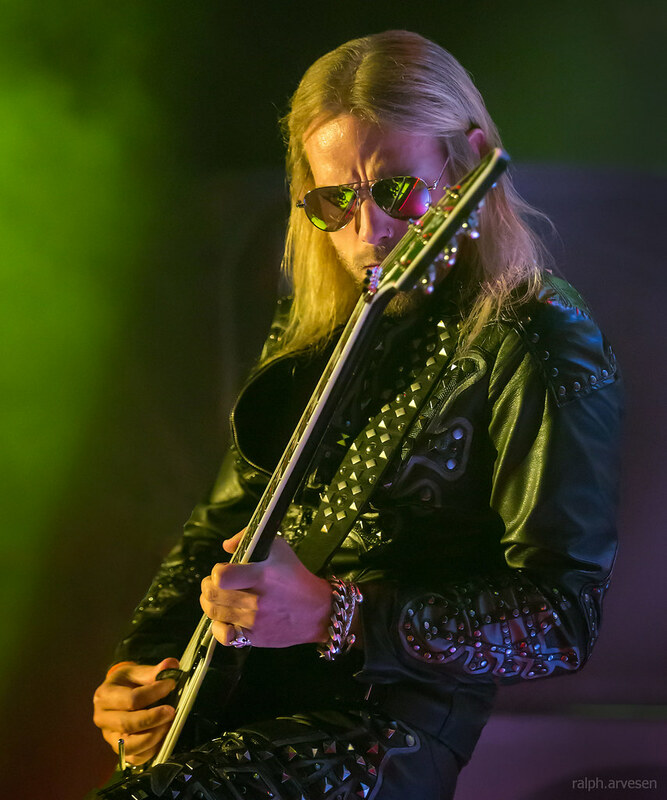 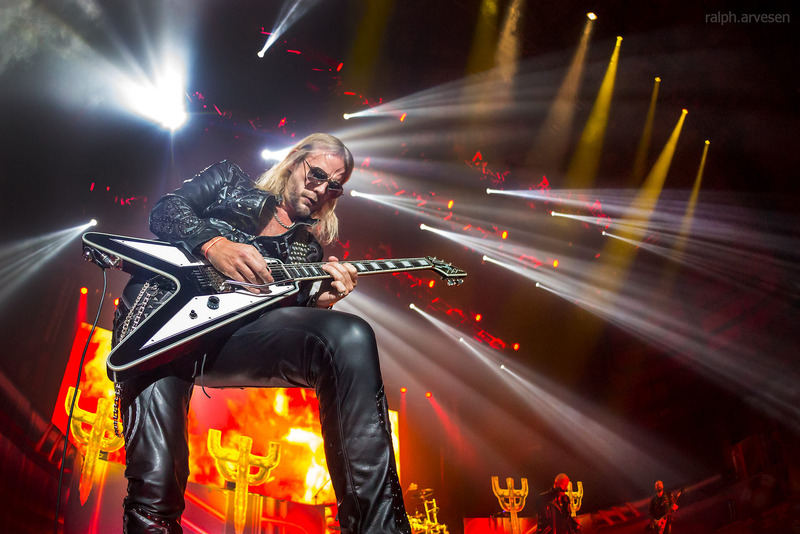 Judas Priest was the main act at the Freeman Coliseum with guests Saxon and Black Star Riders. 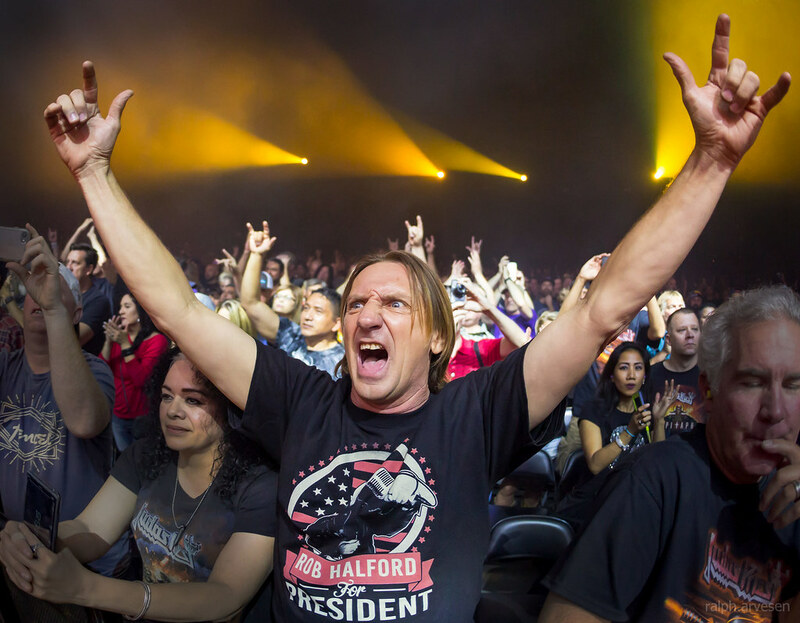 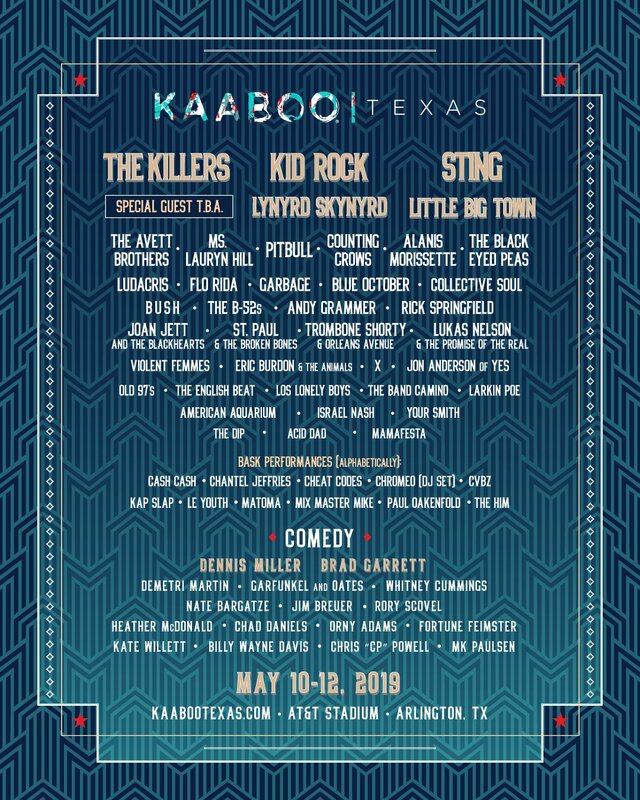 The band continues across the United States and Europe with the last stop at the Toyota Amphitheatre in Wheatland, California on September 30, 2018.